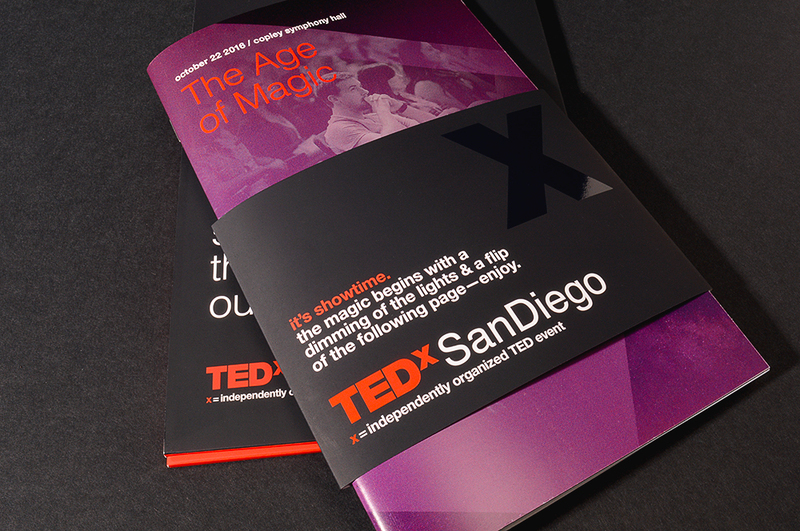 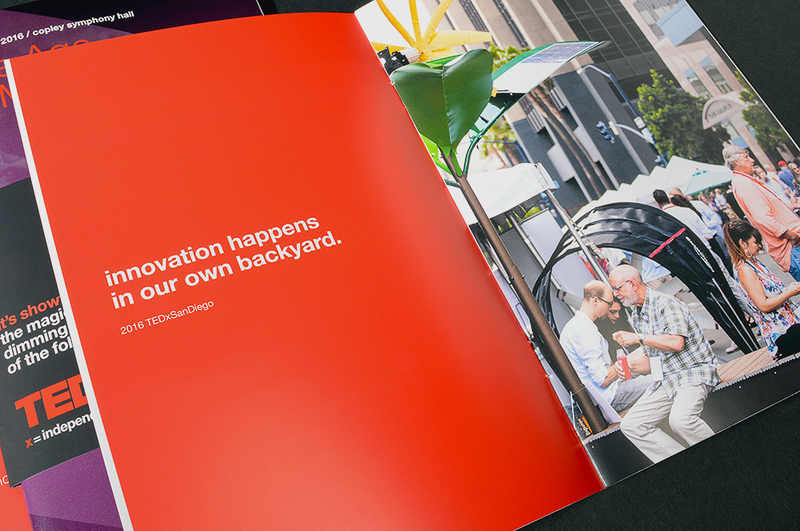 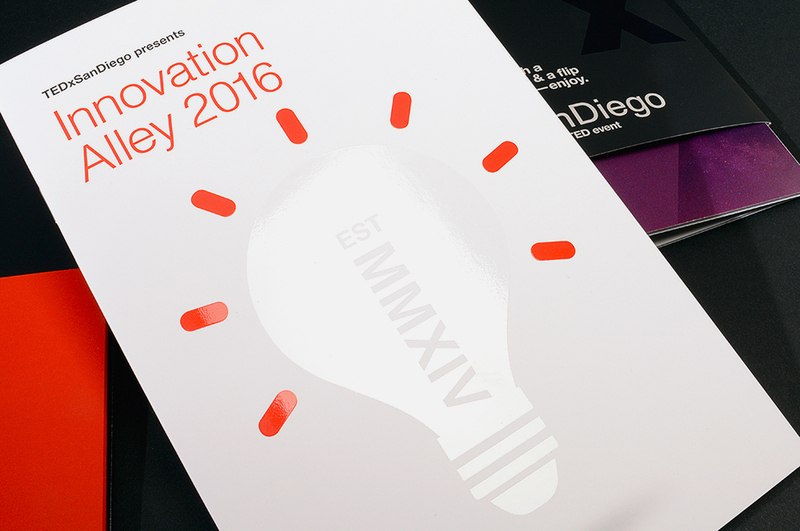 Neyenesch Printers has a long tradition of supporting the San Diego community and we were honored to be invited to partner with TEDxSanDiego for their 2016 event, “The Age of Magic”. 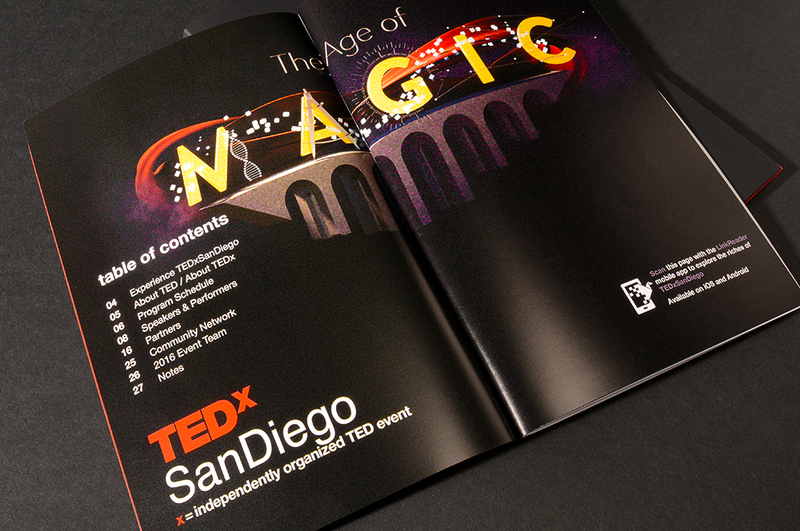 Working under the art direction of Alexis Campanis and Jeff St. John, we created an event program that the organizers, speakers and event attendees raved about. 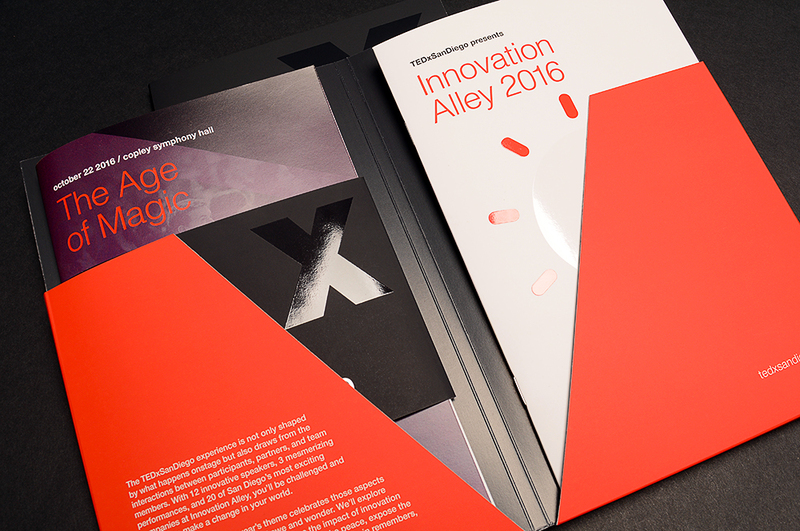 Soft Touch Aqueous Coating Spot Gloss UV Coating Program Text: Four color process and full satin aqueous coating. 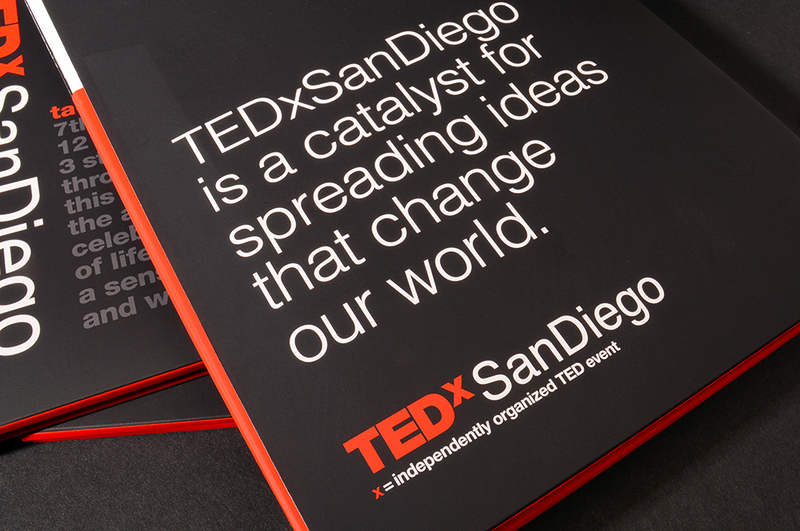 Learn more about Alexis here and TedXSanDiego here.